Those Sol LeWitt instructions? They were sold to the Guggenheim. Then in 1983, billionaire real estate developer Alfred Taubman bought Sotheby's. At the same time, excess cash started to accumulate in the world, as the Japanese economy boomed and Wall Street started to invent financial products like junk bonds, and futures trades (products that were possible because of those Japanese computers). Before the 80's, auction houses were sleepy, wholesale places where dealers bought for inventory. You rarely saw a "real person". But Taubman tapped in smartly into to the new money's desire for alternative investments, and, in less than a decade, Sotheby's helped create a retail, worldwide market for art. Before Taubman, you had to be so careful buying art. You had to love it, because the market was thin, and you might easily be stuck if you wanted to sell. Before Taubman, most businessmen on Wall Street or Japan just wanted a nice picture of a duck, or a horse. They never thought of art as an asset class. But by 1989, attending auctions was de rigeur for the Wall Street titan. He needed a place to put all this money, and Sotheby's had helped create a deep international market with thousands of new investors. 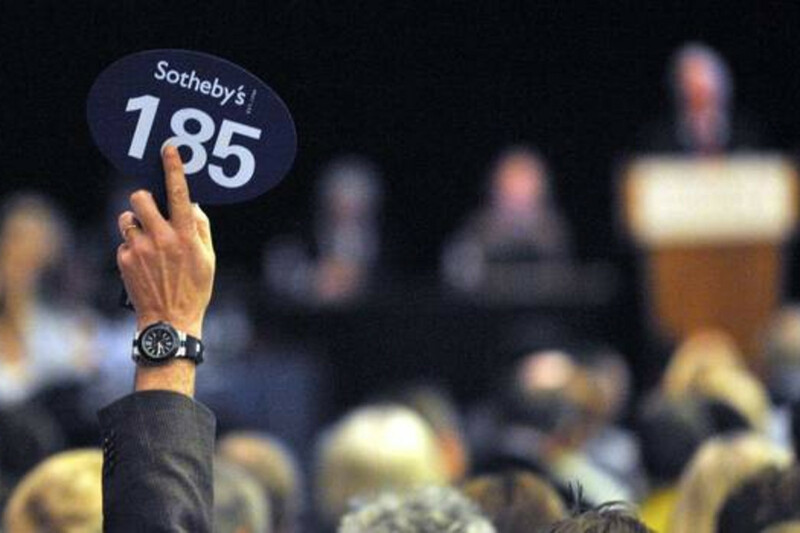 If you bought a piece of art at auction, you knew you could sell it. And as an added bonus, the social scene of the art world was a lot hipper than that of Wall Street. While the art market did indeed fall victim to the recessions of the early 90s, post-9/11 years, and the most recent downturn in 2008, overall the market has been trending increasingly upward as the elite have been placing more of a value on investing in art. A work of art is a tangible representation of your money, and having a collection of celebrated works became a signifier of your status. Art evolved into the latest luxury branding. With a massive amount of wealth that has been accumulated around the world - especially in China and the Middle East - buyers looking to increase their art collections have a nearly inconceivable amount of money to spend on single pieces of work. Their tastes seem to skew unanimously toward postwar and contemporary, which trickles down to a frenzy throughout the art world as dealers clamor for the next big thing. Naturally, with so many people with dollar signs in their eyes looking to the art world, there came to be more of a premium on what could be sold and less of a focus on ideas for ideas' sake. In the wake of the most recent recession, there has been a gradual return of the balancing act in the contemporary art world, even as the market continues to boom. It's a welcome change as we continue to navigate the market.